This post was originally published on the ‘In Off the Bar’ blog. I am loyal Gooners fan, who for the last 6 years has defended ‘le professeur’ and his frugal spending. Since the ‘Invincibles’ (2003-04), Arsenal have been one stride short of perfection playing what is widely recognised, as some of the most scintillating football in the world. Yet increasingly cracks have appeared in the depth and resilience of Arsenal’s squad. Even the most blinkered of Arsenal fan would have spotted this on Tuesday night. Arsenal was caught short against Udinese with embarrassing consequences. Seeing Eboue move to shores a new, Gibbs limp off with a hamstring injury and Djourou following shortly afterwards, resulted in the lack of depth of Wenger’s quad being left bare for all to see. Even Wenger with his commitment to his younger players would admit that it was not ideal to give the talented, but still inexperienced, Jenkinson his Champions League debut. An away goal would have left the return leg a nervous affair that we could do without at this stage of the season – not to mention the very real possibility of missing out on the £25 million for reaching the main stage of the Champions League. Equally, going forward things are looking a little less comfortable than a few years ago. No one except possibly Wenger would still insist that Chamakh was a good buy. Is there a more one dimensional striker on the books of one the top clubs? With Arsenal missing Van Persie and Nasri, both banned (and the latter soon to depart? ), and Wiltshire out injured and Fabregas back to Barcelona, Arsenal’s weakened squad suddenly faced a problem that they haven’t had since the start of the inglorious reign of Bruce Rioch – a lack of creativity. On the odd break they looked uncharacteristically sluggish and disconnected. The addition of Gervinho to Arsenal’s books looks like one of the few significant additions and at least he looked like he was interested. Yet Arsenal looked short of ideas. Wenger has the money to spend, and sadly we can see that money does talk. When you look at the bolstered squad of Man City and how they swept aside a less than impressive Swansea you begin to resign yourself to their business model. Can you buy success? Clearly. Is it right to buy success? Clearly not. Does this fan want the moral victory or the actual victory? Guess. Just look at the world of difference between Chamakh and Aguero. Would any Arsenal fan really not welcome a big name signing to stick up front? I still believe ‘le professeur’ is one of the greatest footballing minds in the modern game and he is an invaluable asset to the club. If this does turn out to be his last season then it would be to Arsenal’s detriment. Yet, now more than ever has to be the time for Wenger to act decisively in the transfer market to start to fill in these cracks and not just paper over them. 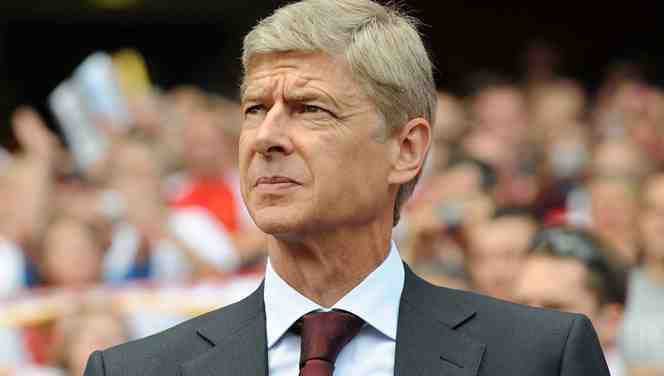 It appears money talks – but is Wenger listening?